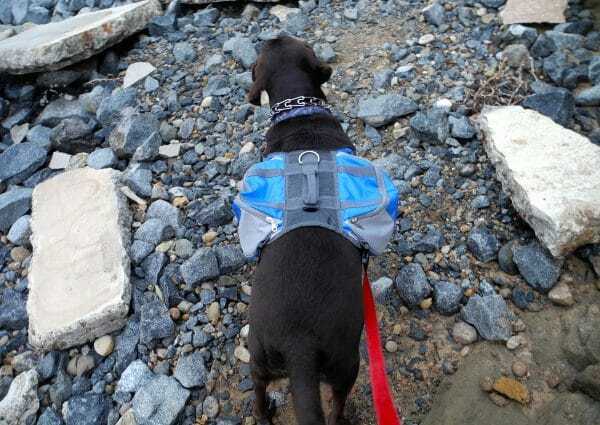 Tuck, my dog, loves going on adventures but I am not a fan of lugging around stuff for him and that’s where the Lifeunion Saddle Dog Backpack comes in handy. It’s a solid and affordable backpack that I don’t worry about beating up. I purchased the bag nearly two years ago and it’s still in fairly decent shape. The best part is it only cost me $25 which is drastically different from some of the other major name brand competitors. Since purchasing the bag, we have used it on numerous hikes, walks, and outings. My favorite part of the Lifeunion Saddle Dog Backpack is the cost. It’s a super affordable bag with decent quality. Tuck hasn’t ruffed up the bag too much and I don’t overstuff or pack it which I think has helped prolong the life of the bag. I also like the size of the bag. It can hold more than I would ever put in it which is always nice when I don’t want to carry a backpack. Though it only has two simple pockets, that works perfectly for what I put in the bag. Additionally, the bag has a harness-like design that helps keep the bag from shifting to one side while Tuck is running or walking. That’s another thing that I find super useful. 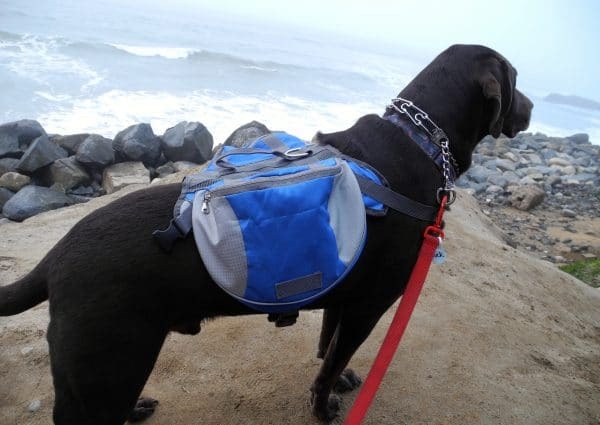 His previous pack was a gift and would constantly move around but with the number of adjustable straps, the Lifeunion Saddle Dog Backpack stays in place. The zipper quality is average. However, I have noticed in recent reviews it looks like they have changed the zippers and upgraded to a rubber handle instead of a cloth one. The bag does what it was designed to do and has held up well but you do get what you pay for. Since Tuck isn’t overly rough on the bag and I don’t clip a leash to it, it has held up well. If you are planning on clipping to the bag or have a dog that might put a little more wear and tear on it, I would suggest looking for a higher quality brand that will last longer. Another drawback that some might find, is the simplicity of the pockets. There are only the two large zippered pockets. For me, it works great but if you need compartments or to keep things separate this isn’t the bag for you. 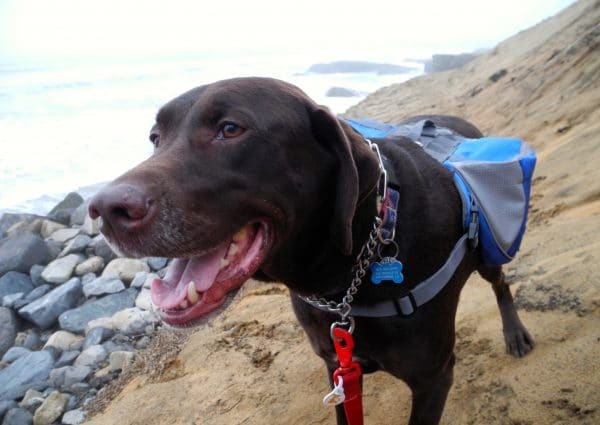 The Lifeunion Saddle Dog Backpack is not a top-of-line bag but it’s super affordable and offers a great deal of functionality. This is definitely a bag I would recommend to anyone who doesn’t plan on using it as a harness or has a dog that will be running through thick brush.